Compression of the cervical spine in the neck can lead to a painful condition called cervical myelopathy while compression of nerve roots that pass through the cervical vertebrae is called cervical radiculopathy. 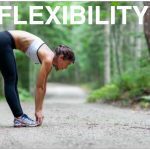 Both conditions can lead to neck stiffness, pain, and reduced range of motion. As all nerves that supply the rest of the body pass through the cervical vertebrae, some people also develop numbness or weakness of the legs and arms, pain in their arms, trouble walking, and bladder dysfunction. Cervical radiculopathy and myelopathy are relatively common but can be very painful. The traditional course of action is anterior cervical decompression and fusion (ACDF), which is considered the gold standard in surgical treatment, although research has found that the evidence for the superiority of this surgery is lacking. Studies that compare surgical intervention with non-surgical treatments show that non-surgical procedures offer the same level of patient satisfaction and pain relief and should be the first course of action before resorting to surgery. The spine is a complex system comprised of nerves, joints, discs, and vertebrae. Any misalignment of this system or spine condition can cause an imbalance that puts pressure on the spine or nerves passing through the vertebrae. A bugling or herniated disc, for example, can cause the disc to rupture or bulge into the spinal canal and "pinch" the nerves running through the spine. Degenerative spine conditions like bone spurs -- which are often the result of osteoarthritis -- may also develop in the joint spaces of the spine. These bone spurs can put pressure on nerves and reduce range of motion. Cervical decompression is designed to decompress the spine and nerve root by reducing pressure on the spine to allow the affected area to move back into alignment. There are several non-invasive treatments that can achieve cervical decompression without invasive and risky surgery, including physical therapy, massage therapy, and cervical decompression performed by a chiropractor. Non-surgical spinal decompression is one of the most effective ways to treat compression of the cervical spine. Spinal decompression is a safe way to relieve pain using a motorized traction device that gently pulls the displaced disc material back into the proper position. This unique traction device is designed to carefully stretch and lengthen the spine and reduce pressure on the spine. Spinal decompression requires that you lie on a motorized table. A harness will be attached around your hips that attaches to the lower section of the table near your feet. The upper part of the table remains in a fixed position and the lower part of the table slides back and forth to relax and stretch the spine. 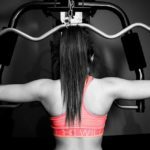 While this treatment is related to the outdated type of traction with which many people are familiar, traction only applies steady force by placing your body upside-down on an inversion table. Cervical decompression offers better pain relief over traction because the body responds to steady traction by contracting the spinal muscles. 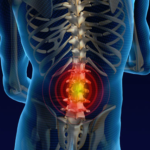 This can make it difficult to unload the damaged spinal disc and it may raise, not lower, pressure within the disc. Non-surgical cervical decompression is very effective in the treatment of bulging discs, sciatica, pinched nerves, degenerative disc disease, facet syndromes, and other spinal conditions that can aggravate or cause cervical decompression. Cervical decompression is a painless procedure that may be performed as a series of 15 to 30 sessions. This procedure has been clinically found to immediately improve symptoms in 86% of patients, 84% of whom remained pain-free for at least 90 days following treatment. - Pain management. This is the first goal of physical therapy to reduce inflammation and pain in the neck. Ice packs and moist heat can be used initially as well as a cervical contoured pillow at night. - Manual therapy. Your physical therapist may use manual therapy like manual cervical traction to reduce pressure in the neck. This can offer immediate pain relief and may be incorporated with gentle massage on the neck and shoulder muscles to improve circulation and promote healing. - Posture education. Your physical therapist will help you improve your posture to protect your neck and suggest changes to your work habits. - Range of motion exercises can relieve your symptoms and help you regain normal movement. - Strengthening exercises will begin gently and become more aggressive as you heal. Strengthening exercises can help you prevent flare-ups in your condition. If you have neck pain or you have been diagnosed with cervical radiculopathy or myelopathy, it's important to try non-surgical methods before resorting to surgery. We offer safer and more effective treatment options than traditional open neck or back surgery. At ChiroFit, we will develop a customized treatment plan designed to relieve your pain and help your body heal using a combination of physiotherapy, massage therapy, and chiropractic care. Contact us today to schedule your initial appointment and learn more about how we can help you recover from cervical compression.